Here is the review that I've been promising since last years Golden Pints; my Best Australian Bottled Beer - 3 Ravens The Druid! It's an amazing quad, which was one of Adrian McNulty's (now of MoonDog) departing gifts for 3 Ravens. 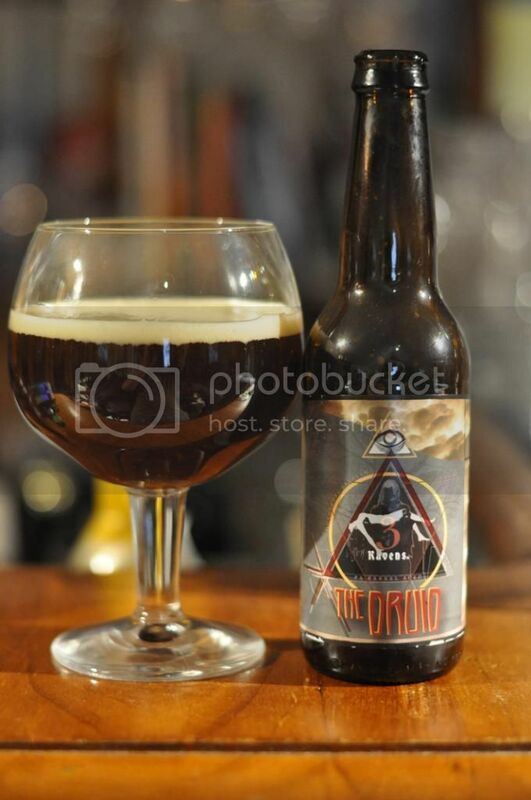 The Druid is a Pedro Ximenez barrel aged Quadrupel. Pedro Ximenez (or PX as it may now be known) is a Spanish Dessert Sherry for those who don't know. In my experience PX has quite a strong dark fruit flavour, which should (and does, I've had it before) lend itself to working well with a Quadrupel. Hopefully this beer has held up well since it's release last July, time to get into it! 3 Ravens The Druid pours a dark ruby with quite a thin cream coloured head. The head retention was not great but there was a rim of foam left around the glass throughout drinking. There was little to no evident carbonation and only minimal lacing. Those last elements are not that important in a Quadrupel and in fact I think it's a great looking example of the style. I was so happy to taste this and realize it was just as good, if not better, than the beer I remember! There was quite a lot of banana and bubblegum but they blended into the background behind some cherries and what I now believe to be plums. The Pedro Ximenez flavour is much stronger than the nose had indicated and it was joined by a slight oakiness, presumably from the PX barrels. It's not too sweet, as some others are, and the carbonation and mouthfeel is spot on. This beer is just going to get better with age! Adrian McNulty's creation may have been one of his lasts for 3 Ravens, but it is surely his finest! 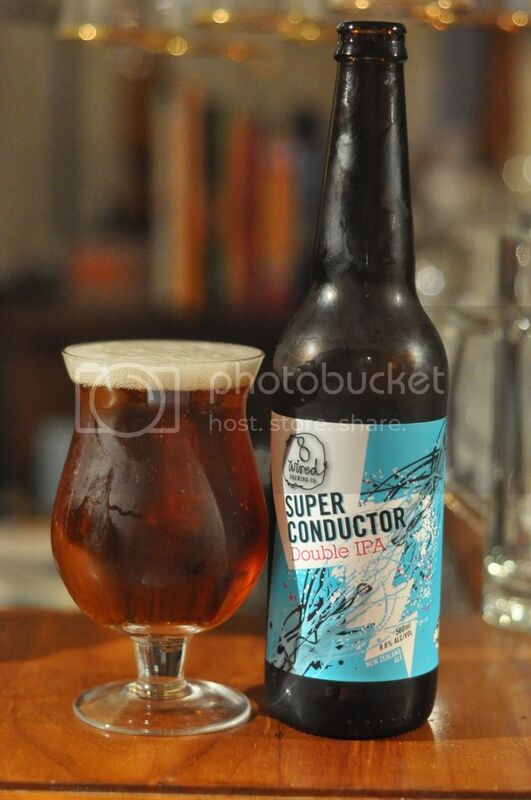 It's a brilliant, out of the box, beer! This is definitely a beer that I'd recommend for those who love the true Belgian styles, but aren't afraid of something a little different. The light woodiness and strong flavour from the PX barrels the beer was aged in really is an exciting twist on the style. I am so glad I have a couple more of these in the back of my beer cupboard! Availability would be very limited on this now, so if you see it don't miss out!